From LA it was short flight - compared to coming from Australia - to Vancouver for an overnight stop before driving up to Whistler. Last time we were in Whistler - 2011 - we vowed never again - but you know what they say about never saying never! So with Chris having found employment in Whistler as a Snowboard Instructor it was to Whistler we headed for our annual snow fix. 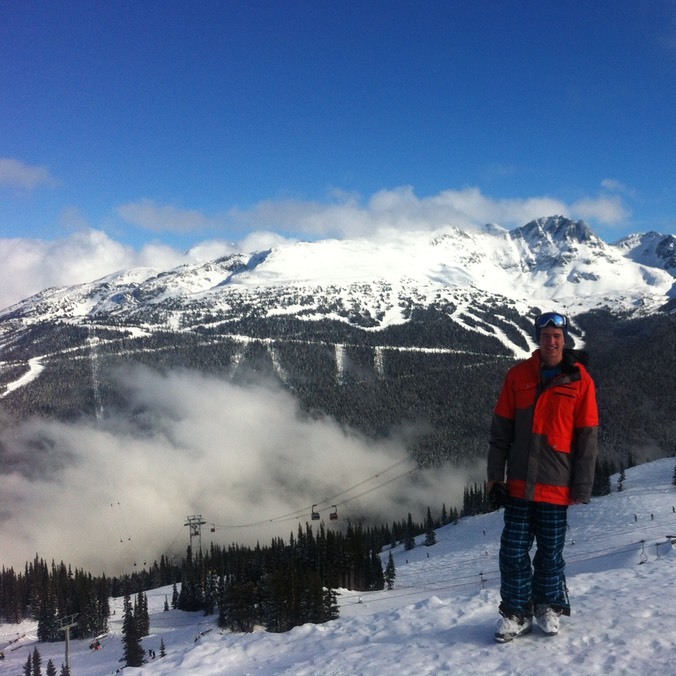 One positive we found in Whistler last visit was the accommodation - Snowy Creek Apartments located conveniently between Blackcomb and Whistler main gondolas and a ski in when finished for the day. So it was fortunate that we were again able to book into Snowy Creek all be it this time there were four floors and the walk up at the end of a long day on the mountain at times proved challenging! Last time we visited it rained every day so you could say our opinion was some what dampened. We are pleased to say however this time around - though the mountain still lacked in fresh powder we had some insider knowledge and skied with enjoyment and challenge for ten of our eleven days. Lee took on moguls though without a lot of style that would not previously been attempted, Andrew kept up with the enthusiasm of Tobias who was seeing snow for only the second time and who managed to ski every run in all weather conditions and secure a 360 turn on the rails in the park. Scott just skied as he always does with total control and style - enjoying the days when the groomed runs were smooth enough with fresh snow to really get in some fast carving. Chris was able to get released from teaching on quite a few days and passed his experience onto Tobias in the park and to Lee on the slopes. 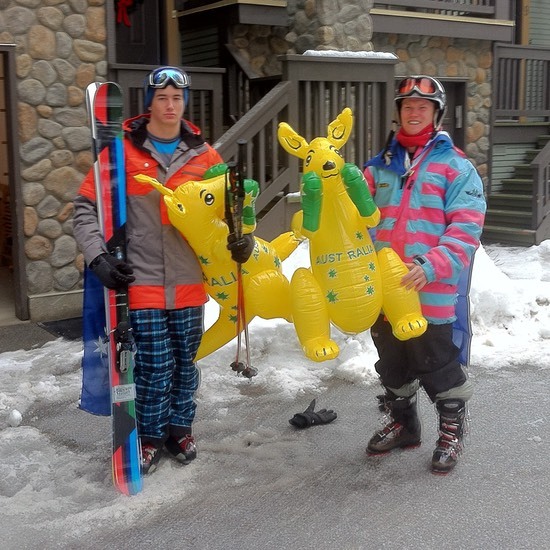 Being in Whistler for Australia Day also allowed for some patriotic antics making for a memorable Australia Day on the snow. So now we depart ways from the slopes of Whistler. Chris stays on to continue working, Scott heads back to Australia to prepare for his relocation to Adelaide for University and Lee and Andrew head back to St Lucia for a few days to check on the status of Katherine. Not sure when the Boller family will again share a meal all together or where that meal will be in the world. Thats what makes getting together now so special. We have thoroughly enjoyed having Tobias join us on this trip and hope that he will do it again with us as there is nothing quiet like a Tobac moment to bring a little humour to the table. WIshing all in our party a safe trip to their next destination. Till next time.